Everybody learning to box wants a knockout punch, so the question “how can I punch harder” is something I get asked time and time again. 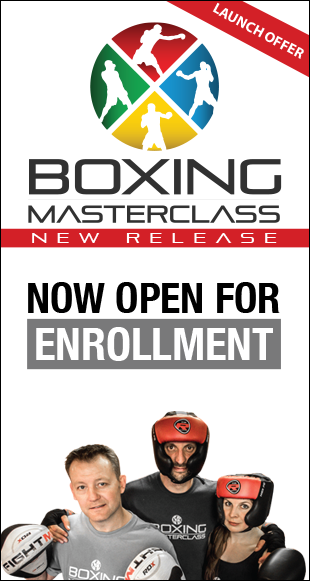 Some lucky few are born with this natural ability and some will never obtain it, but that’s not to say you can’t improve your punching power, because you can! Punching hard is definitely not just about how big the puncher is – throughout my career I’ve seen tiny boxers with amazing knockout power. So, if it’s not about your size, what is it? 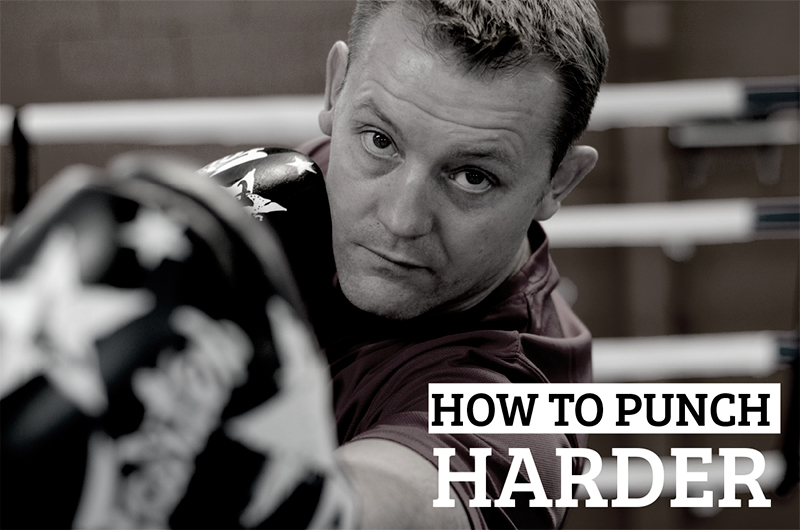 Well, a massive part of punching power is technique, but another huge factor can be how you set up the punch. One – Keep Grounded & Balanced. If you want to put everything you have into a punch, you need to use your feet/legs and the ground as a driving/pivoting force. A common mistake with the simple cross, for example, is leaning in and lifting your back foot off of the ground. Rather than all the power then being focused into your punch, your power in effect gets released via your back foot. In other words this power is now halved and is going in both directions which definitely won’t help you punch harder. If you’re unbalanced or over-reaching with any punch, there will be a loss of power, plus you leave yourself open for the counter. Two – Core Power & Twist. I like my clients to understand how to twist properly especially when I’m teaching them specifically how to make their punch harder. 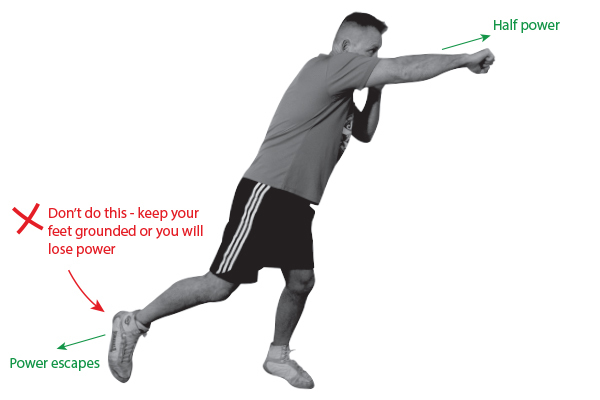 Stand in a basic boxing stance position and throw a simple combination – Jab, Cross, Hook but… (this is the important bit) stand completely straight, NO TWISTING allowed. If you can get someone to hold the pads for you so you can feel and hear how hard you’re hitting, even better. Now, try this again, but this time concentrate on your core muscles and think about your hips twisting into every punch. The difference on the pads is normally quite remarkable. Lots of people know they should twist their hips into their punches, and many people think they do it – but you need to concentrate on the hips and really feel the difference before you can perform it properly. It’s obvious… or so you would think. But in the heat of a fight and with anger at boiling point, the last thing on some peoples mind is.. “relax”. Instead you see a hulk rage build and the arms tense as the fighter tries to put every last amount of energy into their punches. At this point you are effectively fighting “yourself”. As all your arm muscles tense they will start working against each other making your punches slow, sluggish and predictable. 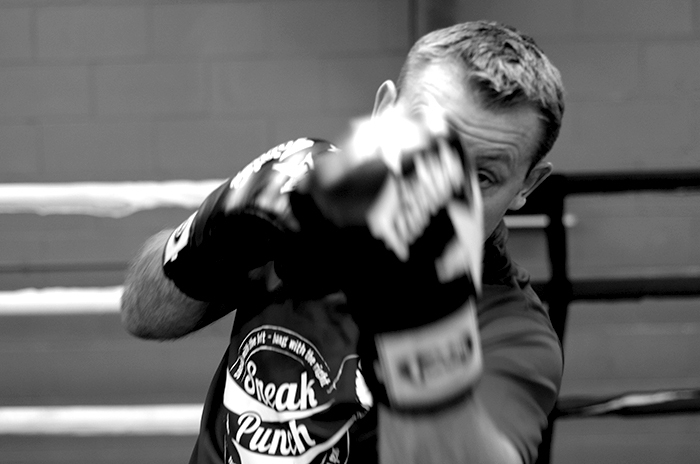 Another negative consequence of being tense when you’re fighting is the amount of oxygen your muscles are using, 2 minutes of punching like this and you will be gasping for air (and probably getting a kick-in). Four – Speed and Snap. Ok, so we are grounded, balanced, relaxed and we can twist, but we do have to tense up at some point, surely? Yes, absolutely and this part is all about timing. Ultimately the best time to deliver the most power is to tense on impact and there is a reason for this. Keeping your arm relaxed until impact means you will be using the right muscles individually to power your punch forward (making it faster) and punch harder. If you can imagine a tennis player or golfer hitting a ball, they won’t tense as they swing, they will tense at the very last moment as the racket/club makes contact with the ball. The same can be applied to your punch, the faster you can throw your fist towards your opponent the harder your punch will be and the harder it will be for your opponent to defend against. The snap is this last part, where everything tenses for a split second. You’ve used the power from the ground (Kept Grounded), used the twist of your body (Core Power & Twist) to launch your fist forward like a missile with no muscles working against it (Relaxed), then at the last second you’ve tensed, harnessing all of the power you’ve built up from the floor through your body to focus into your knuckles (Speed & Snap). Five – Setting up the Punch. 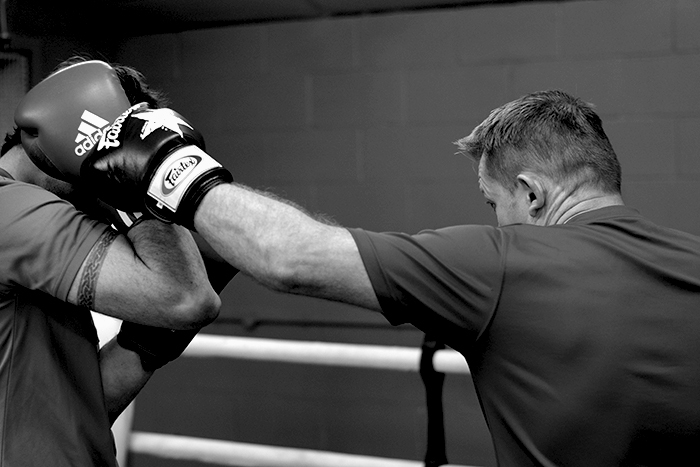 Setting up your punch correctly can make the difference between a hard punch and a knockout punch. I’m sure we’ve all heard the phrase “Wind up the Punch” normally followed by some ridiculous image of someone pulling their fist back before throwing it. 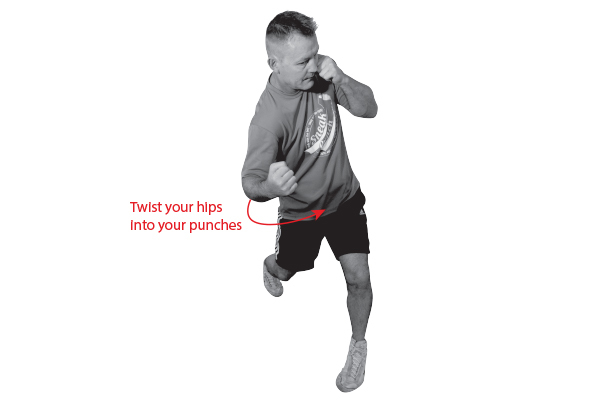 It may sound silly, but in a way, winding up your punch will make your punch harder. Obviously you can’t literally pull your fist back before you punch, your opponent will see it a mile off – so we have to be sneaky in this approach. We want to be able use our bodies and the twist to do this for us, but we want to hide what we’re doing at the same time. One of the best ways to do this is by using the “slip” properly. By slipping we twist our bodies away from our opponent, this puts us in what I call a “coiled spring” position. When punching from this position, we have nearly doubled our twisting distance which in turn means a faster more powerful punch. 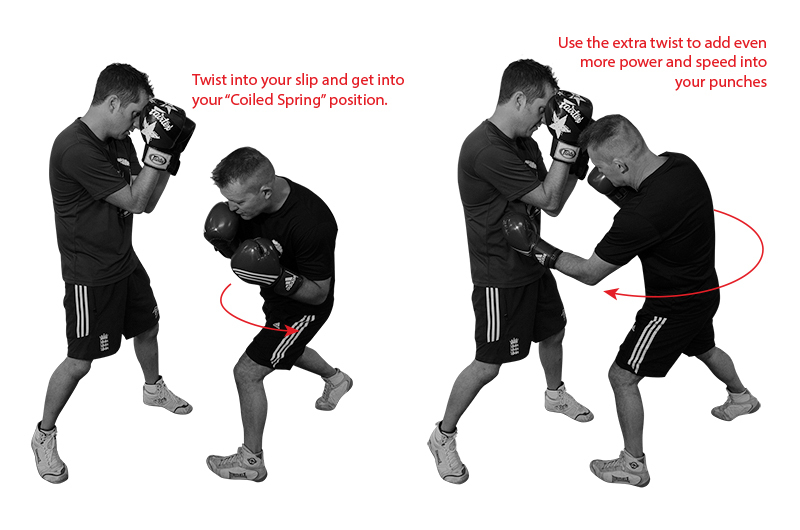 Try these 2 combinations on a punch bag and see the difference in power. You can use the following after a slip to your left (based on Orthodox stance). You can use the following after a slip to your right (based on Orthodox stance). If you can combine all the above advice, you will be able to punch harder in no time.